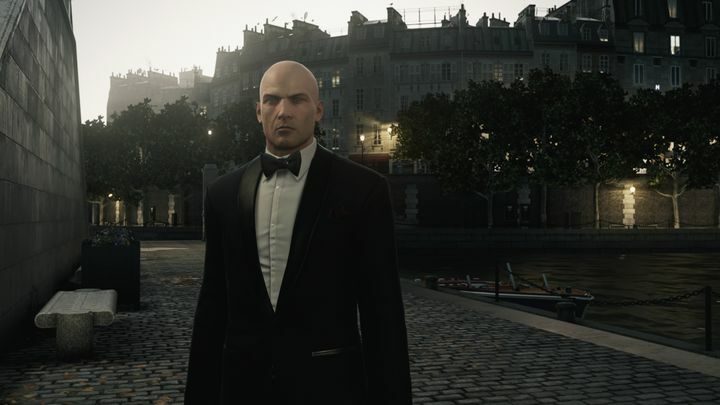 One of the biggest video game-related news of the year was Square Enix’s decision to dump Hitman studio IO Interactive. The Danish studio behind the Hitman games became an independent studio after that, thankfully managing to retain the rights to the Hitman franchise. And IO has no doubt shown its commitment to Hitman by releasing new content for their latest game (2016’s episodic Hitman reboot) on a regular basis. Despite this, though, it’s likely fans of Agent 47’s adventures couldn’t help but feel excited when IO Interactive teased a new content reveal earlier this month. This won’t be the eagerly-awaited season 2 of Hitman, as the Danish studio made clear in a blog post. Some couldn’t help but notice though, that the image used to tease this reveal features a swirl in the background that bears an uncanny resemblance to the logo of a rather famous video game company. The company in question is none other than Ubisoft, the video game publisher and developer behind hits like Assassin’s Creed, Far Cry and others like Ghost Recon: Wildlands and The Division. But would IO Interactive and Ubisoft be a good fit for each other? If one thing is clear, is that after splitting with Square Enix Hitman dev IO Interactive is left without a publisher, and there’s no doubt that Ubisoft would fit the bill for several reasons. First, the company headed by Yves Guillemot has been trumpeting its desire to switch to a “games as a service” for a while now. This means future Ubisoft games will remain relevant much longer, thanks to the release of regular DLC, expansions and also due to more player involvement via community events and open betas like the one held in February 2016 for The Division, for instance. This games as a service model could possibly also involve splitting games into chunks not just via DLC, but also through an episodic release model for instance. This is something that IO is no doubt familiar with – after all, the Danish studio embraced the episodic model for this 2016 Hitman game wholeheartedly, even if the results might not have been that great – and this is likely the reason why Square Enix choose to get rid of the Hitman studio. But now it’s ironic that choosing the episodic route for their last Hitman game – something many fans of the series did not like so much and which lead to the not so great sales of the game – could have attracted the attention of another big publisher, Ubisoft. And the thing is that the game not only shipped in episodes, but IO has been releasing extra content regularly for it in the form of featured contracts, challenges, and even live content (the Elusive Targets) that fits perfectly in the games as a service model that Ubisoft appears to be so keen on right now. 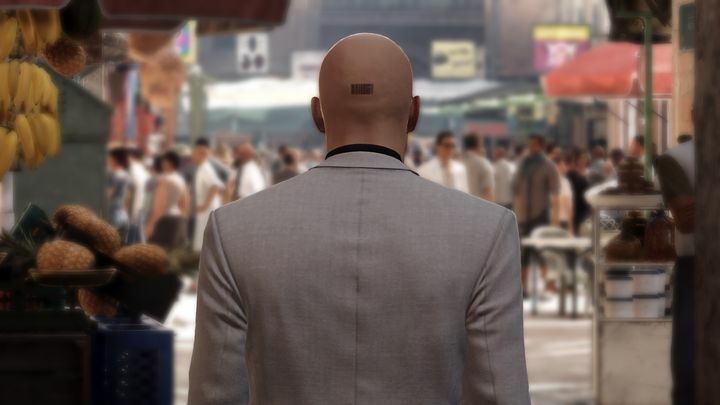 Will Agent 47 be joining the Ubisoft family soon? Another reason why Ubi might have come knocking on Agent 47’s door could be the fact that Hitman lends itself very well to the movie treatment. Actually, there have been two Hitman movies released already, even if admittedly the last of these was a disappointment to put things mildly. But given that Ubisoft are in the business of making video game movies right now (an Assassin’s Creed movie came out last year and other films based on The Division and the Far Cry games are in the works), being the publisher of Hitman might be worthwhile for the French company. This is all rumours and speculation for the time being, though. And truth be told, IO Interactive is just as likely to continue its journey on its own as an independent studio than to be snatched by a major publisher any time soon. But personally, I would be happy if the long-running Hitman franchise found a new home, and that it’s development would continue with the backing of a major publisher like Ubisoft. Of course, there’s also the possibility that Hitman’s new “content reveal” could be something else entirely (a new episode for the studio’s current game, for example) but thankfully there’s not much more to wait in order to find out what’s coming next to Hitman, as IO’s announcement is finally taking place next week.